Esta obra contiene ilustraciones, fotografías y mapas de principio a fin. 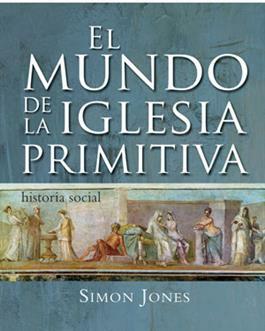 El mundo de la iglesia primitiva nos conecta con el pasado como si tan solo fuera ayer. ¿Qué papel jugaban las religiones paganas? ¿Qué hacía la gente en sus ratos de ocio? ¿Cómo era la vida familiar? ¿En qué trabajaban? ¿Cómo estaba organizada la sociedad?¿Qué papel jugaban las mujeres? What was the role of pagan religion? What did people do for entertainment? What was family life like? How did they earn a living? How was society structured? What was the role of women? Illustrated throughout with photographs, maps, and reproductions, The World of the Early Church is a fascinating survey that brings this period vividly to life.